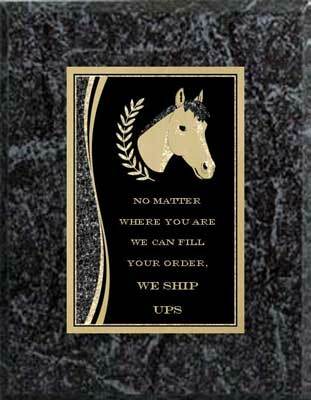 Click a link below to see pictures, more details and place you order. 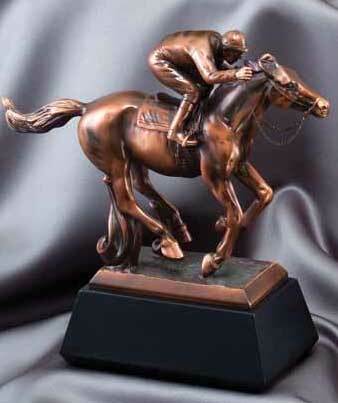 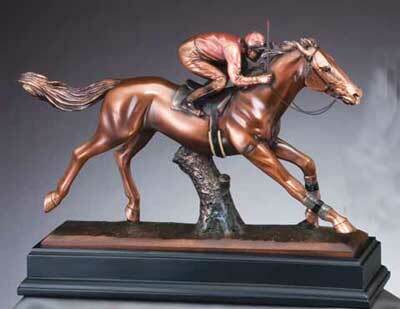 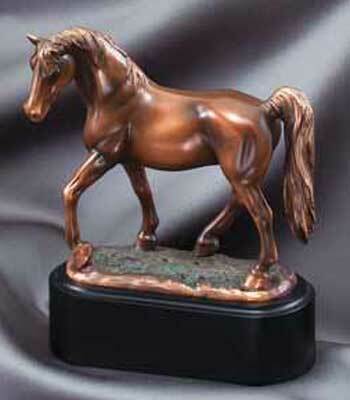 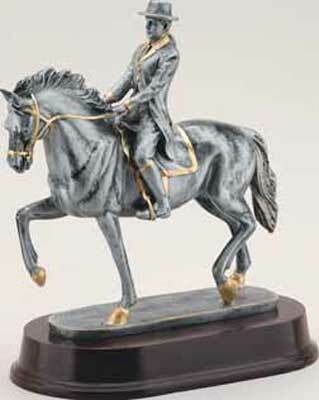 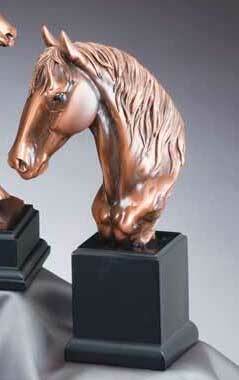 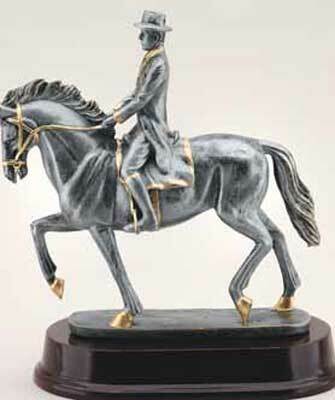 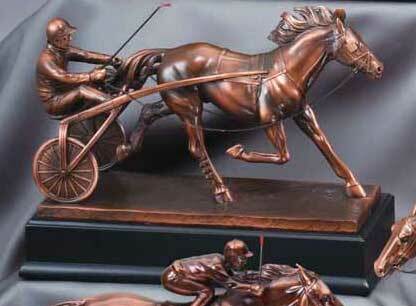 Check out all the horse trophy figures to top our many styles of trophies. 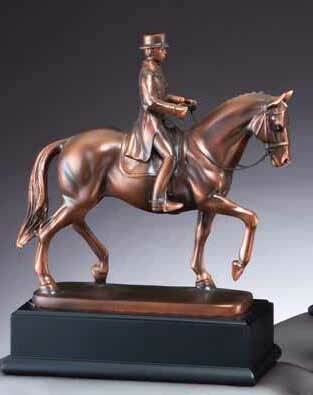 You?ll find figures that will be appropriate for equestrian riding and jumping events, horse shows, and rodeo trophies. 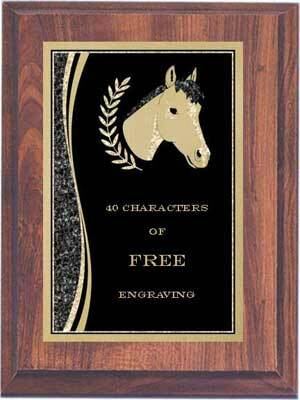 All include 40 characters of free engraving. 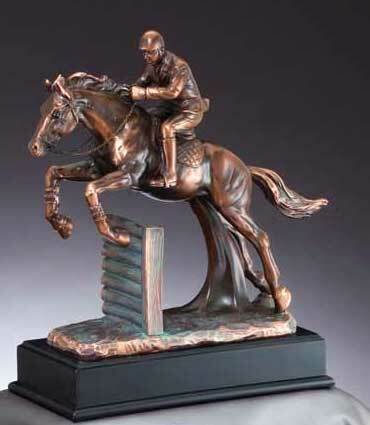 Suitable sculptures for English and Western horse shows. 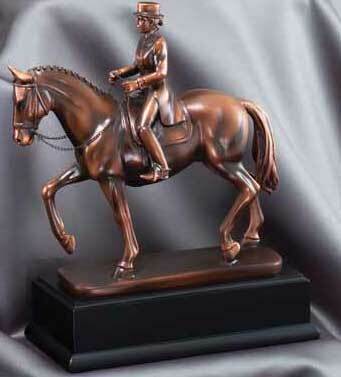 These have stunning detail and are great awards or gifts for all horse related events. 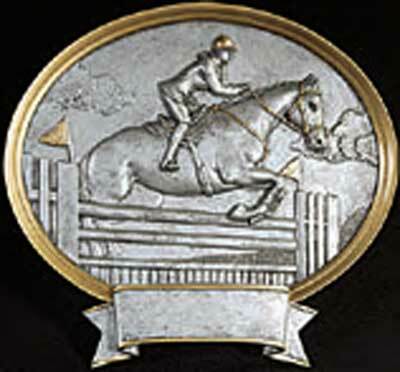 you may choose from 10 styles of equestrian plaques, all make beautiful presentation awards and each has 40 characters of free engraving. 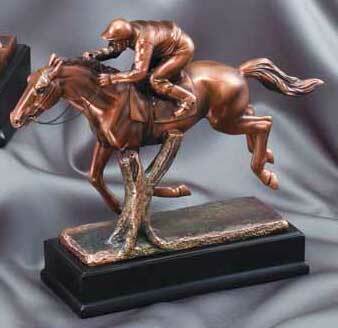 Are great way to display your horses or your clubs winners. 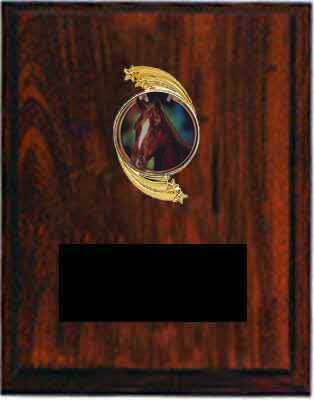 Each plaque has a place for engraving. 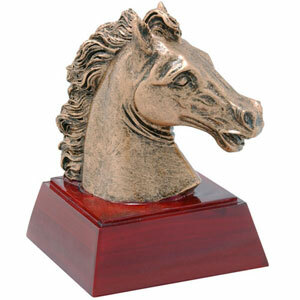 Our inexpensive equestrian ice awards are great for children?s events, fun horse shows and smaller rodeos. 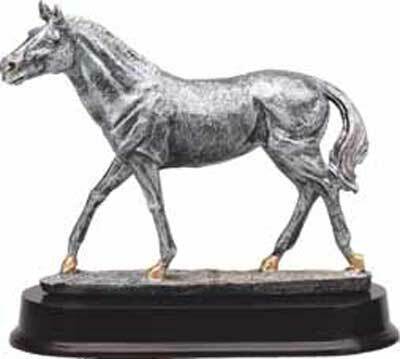 may be purchase with or without neck ribbons, engraving is only 7 cents per character. We have a large selection of rosette ribbons that can be custom printed for your next horse show. 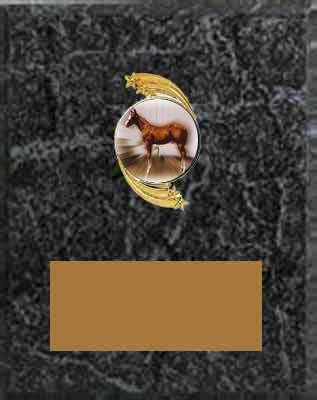 If you need your rosette ribbons in a hurry and don't have time for custom printing; we have preprinted placing, participant and other titles that can be shipped the next working day. 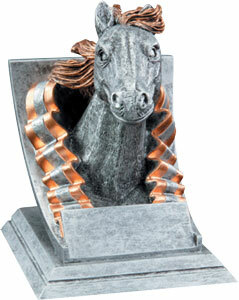 great for that last minute horse show, these are available for next day shipment.